The “90 Day Fiance” family keeps growing! Another 90 Day Fiancé baby has arrived! Season 1 couple Mike and Aziza Eloshway welcomed their first child—a baby girl—earlier this week. The baby, who was born January 14, was named Olivia Joan by her parents. “Our Princess has arrived! Welcome Olivia Joan, born 1/14! Great job, mommy!” Mike captioned a photo of the baby. Aziza also posted several photos to Instagram of their new addition, including an adorable one of Mike cradling and kissing Olivia. “My beautiful little creature,” she captioned another baby photo. Mike and Aziza announced the pregnancy in September with a maternity photo shoot. Aziza spent the next few months updating her Instagram account with many photos of her growing baby bump. During the pregnancy, the couple made a visit to Aziza’s home country of Russia, but returned to the United States well before the birth of their child. The couple has kept a lower profile than many who have appeared on the show. To date, Mike and Aziza have not appeared on any of the franchise’s spin-off shows. 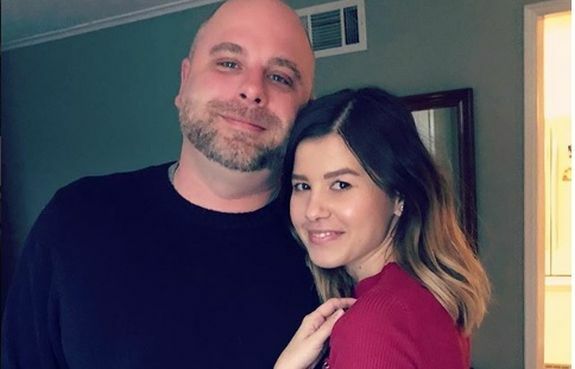 Mike and Aziza are not the only “90 Day Fiance” couple to welcome a child in 2019. Their Season 1 co-stars, Russ and Paola Mayfield welcomed their baby boy, Axel, on New Year’s Day, just minutes after the clock struck midnight. Russ bonded with Mike and Aziza about becoming new parents. “Congratulations! Such an amazing feeling! Happy for you all!” he wrote in the comment section of one of Aziza’s baby posts. Some “90 Day Fiance” fans even joked that the couples’ newborns could one day end up together. “Maybe she will marry Axel?” one fan joked of Olivia. There will be even more “90 Day Fiance” babies coming this year. Aleksandra and Josh Strobel of Season 3 recently announced they are expecting their second child. In addition, Paul Staehle and Karine Martins of 90 Day Fiancé: Before the 90 Days, and Elizabeth Potthast and Andrei Castravet of Season 5 are due to welcome babies soon.